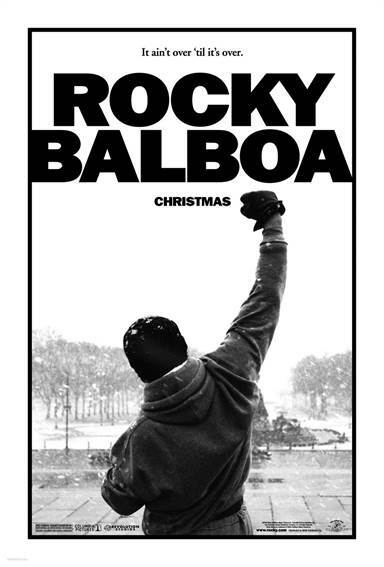 Download Rocky Balboa in Digital HD from the iTunes store. 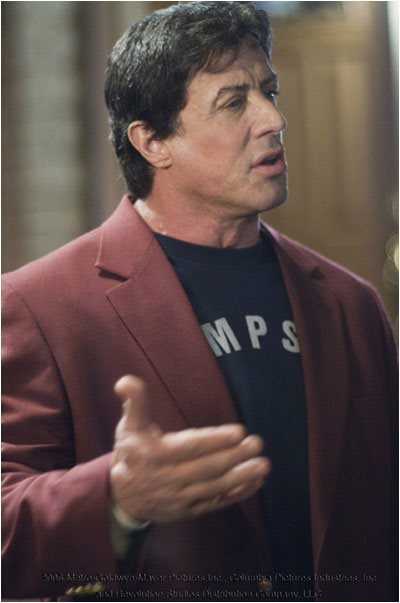 Rocky Balboa images are © MGM Studios. All Rights Reserved. 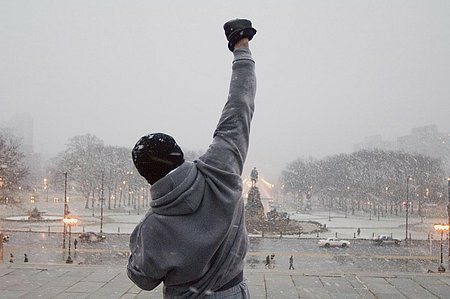 Rocky V (which most people considered the end of the series) had Rocky back in inner city Philadelphia and pretty much content with his life. He was not wealthy but had his dignity and his family. 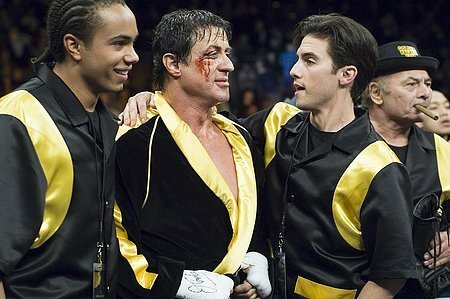 Approximately, ten years have past since we last saw Rocky. 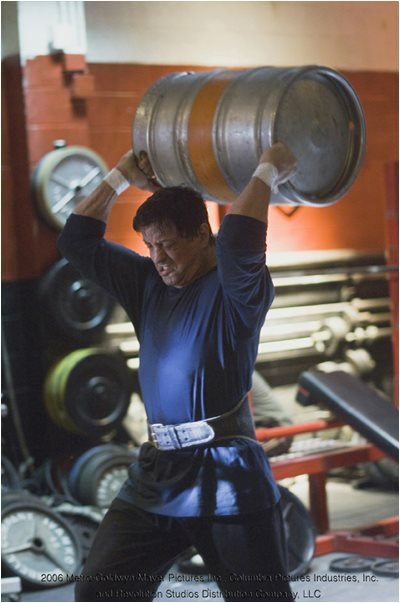 The Italian Stallion is now the owner and host of his Italian Restaurant (appropriately named Adriane's) in Philadelphia. 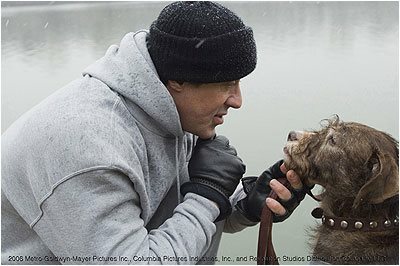 He is working through the pain of losing his wife, Adrienne, to cancer and repairing his relationship with his son, Rocky Jr.
Rocky's struggle is more internal in this film than previous ones. He is overcoming the distant relationship with his son, his wife's passing, and trying to figure out what he needs to accomplish in his life before he passes from this earth. 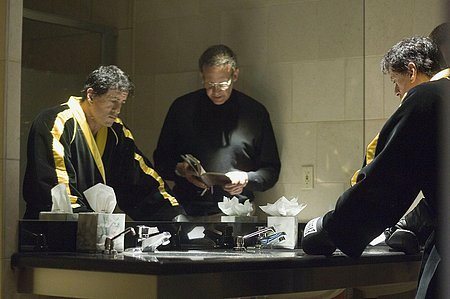 With every successful series the usual downfall is its success. Rocky definitely did not dodge that jab. 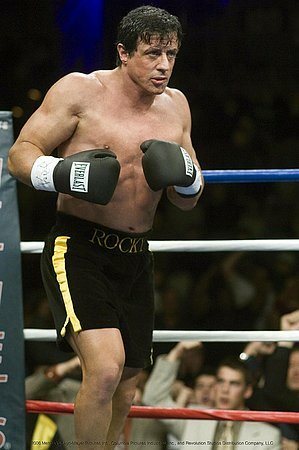 By the time Rocky IV came out the movie was a glorified MTV video. 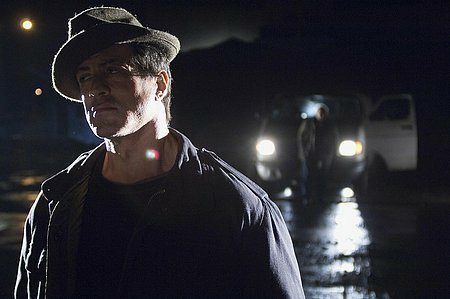 However, with Rocky V Sylvester Stallone tried to take the movie back to its roots, but it fell flat. This time however he succeeds on every level. The cast is top notch and most of the cast from the original Rocky movie is back including an appearance by Rocky's first movie opponent Spider Rico (Pedro Lovell). To help fill in the gaps for a leading lady is series newcomer Geraldine Hughes who plays Marie (a character from Rocky's past), and Milo Ventimiglia, of television's Heroes, stars as Rocky's son. 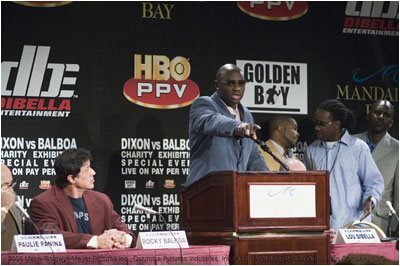 Rocky's boxing nemesis, Mason Dixon played by Antonio Tarver doesn't get much screen time, but as with all Rocky films the movie ends with the ultimate battle and test for Mr. Balboa. Being a child of the 80's characters like Rocky and Rambo were household names. I don't know one person in my age group that didn't get inspired by the hopes and dreams of Rocky. 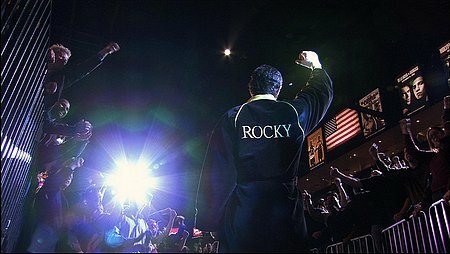 Rocky once again inspires the young and old to believe that working hard and doing the right will allow you to accomplish your dreams! 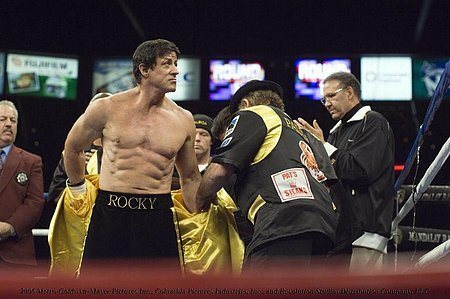 Rocky Balboa images © MGM Studios. All Rights Reserved.